Barnes and Noble in hard cover and Nook). Insane Consequences: How the Mental Health Industry Fails the Mentally Ill is by far the most well-researched and important book written on mental illness out today. With a foreword by Dr. E. Fuller Torrey, it is a must-have for anyone who wants better care for people with serious mental illness, reports on it, develops policy, works in mental health or criminal justice. It provides actionable ideas to lower rates of homelessness, incarceration, suicide, violence and expense. This well-researched and highly critical examination of the state of our mental health system by the industry’s most relentless critic presents a new and controversial explanation as to why—in spite of spending $147 billion annually—140,000 seriously mentally ill are homeless, 390,000 are incarcerated, and even educated, tenacious, and caring people can’t get treatment for their mentally ill loved ones. DJ Jaffe blames the mental health industry and the government for shunning the 10 million adults who are the most seriously mentally ill—mainly those who suffer from schizophrenia and severe bipolar disorder—and, instead, working to improve “mental wellness” in 43 million others, many of whom are barely symptomatic. Using industry and government documents, scientific journals, and anecdotes from his thirty years of advocacy, Jaffe documents the insane consequences of these industry-driven policies: psychiatric hospitals for the seriously ill are still being closed; involuntary commitment criteria are being narrowed to the point where laws now require violence rather than prevent it; the public is endangered; and the mentally ill and their families are forced to suffer. Insane Consequences proposes smart, compassionate, affordable, and sweeping reforms designed to send the most seriously ill to the head of the line for services rather than to jails, shelters, prisons, and morgues. It lays out a road map to spend less on mental “health” and more on mental “illness”––replace mission creep with mission control and return the mental health system to a focus on the most seriously ill. It is not money that is lacking; it’s leadership. DJ Jaffe has been advocating for better care for people with serious mental illness for over thirty years. He is Executive Director of the non-partisan Mental Illness Policy Org. which creates detailed policy analysis for legislators, the media, and advocates. He was the driving force behind New York’s Kendra’s Law, and several of his ideas were included in the 21st Century Cures Act recently passed by Congress. 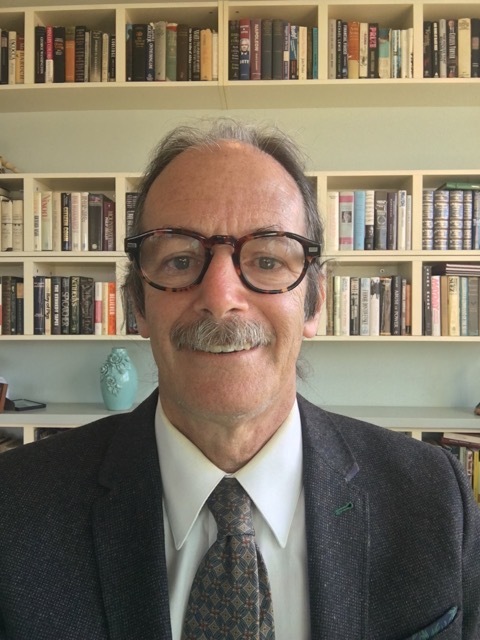 He regularly appears on television and has written opinion pieces for City Journal, New York Times, Washington Post, Wall Street Journal, National Review and scores of other policy publications. Jaffe has served on numerous nonprofit boards including the Treatment Advocacy Center and National Alliance on Mental Illness. He has a seriously mentally ill relative and lives with his wife, Rose, in Harlem, NYC. Follow Mental Illness Policy Org., and DJ on Facebook and Twitter and receive periodic updates about significant developments in mental health policy by signing up for our blog or e-newsletter. Anthony Daniels is the Dietrich Weismann Fellow at the Manhattan Institute and a contributing editor of City Journal. Contact DJ Jaffe to arrange speaking engagements. 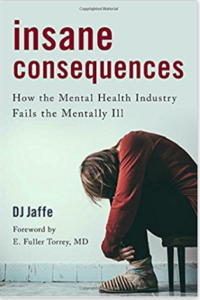 I certainly haven’t been an advocate for the mentally ill for as long as Mr. Jaffe, but even so, I find the arguments put forth in this book undeniable and his blueprint for how to fundamentally change how we must care for the seriously mentally ill just common sense, as difficult as it may be. The truth in this book haunts me with its blazing clarity. Mr. Jaffe’s informed and passionate plea for fundamental change is rooted in a sense of deep humanity. He has paid attention to those who are neglected and suffering right under our noses and challenges us to do something about it. Insane Consequences does an amazing job explaining the impact of the failed mental health system on the criminal justice system. Every advocate, police chief, sheriff, district attorney, and mayor should read it. —Anthony Daniels, Dietrich Weismann Fellow at the Manhattan Institute and a contributing editor of City Journal. Available on Amazon (hard cover and Kindle) and Barnes and Noble (hard cover and Nook).